This beer is better than I remember it. Whenever I can help it I always avoid having a beer that I've already had before. This weekend's experiment, re-exploring beers from the past, has proven to be an eye opener. 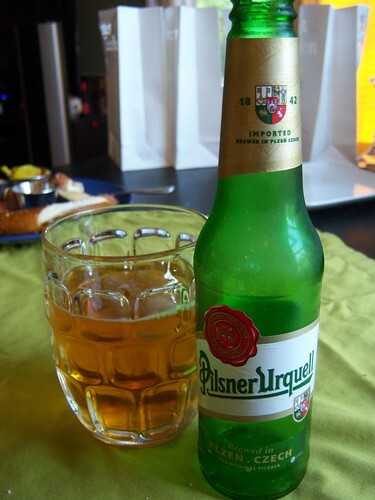 I'm not a huge fan of pilsners but it turns out the original pilsner is quite good. I would never really think of buying this beer with so many beers I haven't tried yet but it was quite enjoyable. Here is a video of Michael Jackson talking about how this is the prime example of the pilsner style. He always mentions how any beer he particularly likes has a great deal of "complexity." To me this beer is not too complex but I think that's more of a reflection on my pallet's sophistication than on the beer itself. That being said, I thoroughly enjoyed this beer. Drinking a beer and watching Michael Jackson talk about it is second only to drinking a beer and watching Oz & James talk about it. 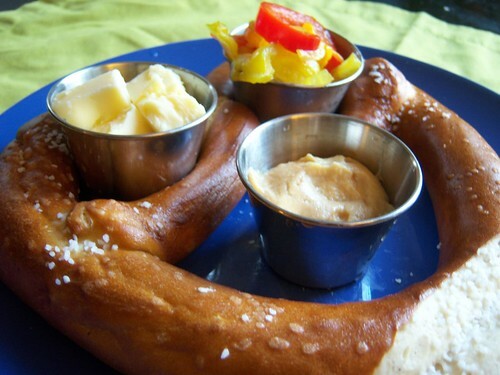 As a warm up for dinner I had a pretzel with SchoolHouse Kitchen mustard, Jen's homemade pickle, and some Seaside cheddar cheese. 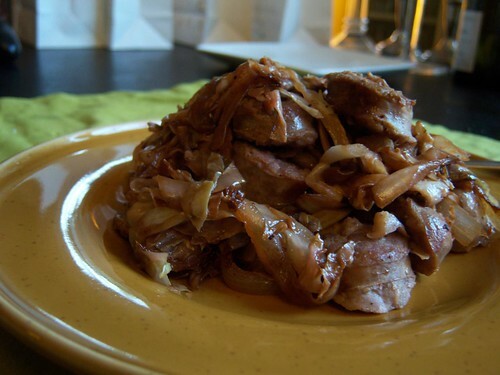 For a main course I cooked some garlic, onion, two heads of cabbage, and two sausages with a little cider vinegar, salt, and pepper. 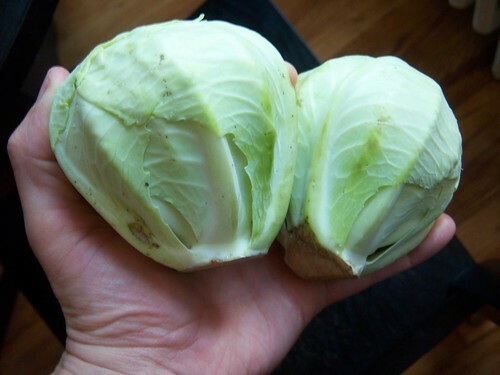 If it seems odd to you that I used two entire heads of cabbage keep in mind that these were the cabbage we got in this week's farm share. They were the tiniest heads of cabbage I've ever seen. They were probably so small because the farm was madly harvesting everythign it could in anticipation of last week's hurricane ruining their crop. Labels: beer, cheese, How'd we use it?